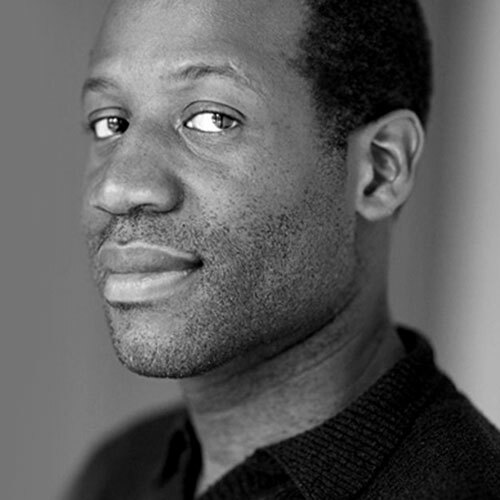 “Eddie Opara was born in Wandsworth, London in 1972. He studied graphic design at the London College of Printing and Yale University, where he received his MFA in 1997. He began his career as a designer at ATG and Imaginary Forces and worked as a senior designer/art director at 2×4before establishing his own studio, The Map Office, in 2005. He joined Pentagram’s New York office as partner in October 2010. Opara is a multi-faceted designer whose work encompasses strategy, design and technology. His projects have included the design of brand identity, publications, packaging, environments, exhibitions, interactive installations, websites, user interfaces and software, with many of his projects ranging across multiple media. His clients have included the Menil Foundation, the Studio Museum in Harlem, Jazz at Lincoln Center, the Queens Museum of Art, the Mori Art Museum, JWT, Vitra, Prada, St. Regis Hotels, the Corcoran Group, Morgan Stanley, New York University, UCLA, Grimshaw Architects, (ARO) Architecture Research Office, Harry N. Abrams and Princeton Architectural Press. He has developed numerous applications including theMiG, an innovative content management system that allows clients to manage and publish their own content online. Opara has won numerous awards including a Gold Cube from the Art Directors Club and honors from the American Institute of Graphic Arts (AIGA) andI.D. magazine. His work is in the permanent collection of the Museum of Modern Art and has appeared in publications such as Archis, Surface,Graphis and I.D.